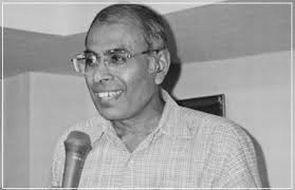 The same group of right-wing activists is behind the killings of rationalists Narendra Dabholkar, MM Kalburgi and journalist Gauri Lankesh, a senior police official said quoting investigation reports. However, the probe agencies have not been able to establish the groups link with the killing of rationalist and communist leader Govind Pansare, he said. During the investigation, it came to light that a gang of like-minded people was involved in the killings of Dabholkar, Lankesh and Kalburgi. Almost all members of this gang have links with the Sanatan Sanstha and its offshoot Hindu Janjagruti Samiti, the official said Saturday. The probe so far indicates that those arrested in connection with the seizure of huge cache of explosives from Nallasopara in Palghar district have direct links with the killings of Dabholkar, Kalburgi and Lankesh, he said. Meanwhile, efforts are on to nab those behind Pansares killing, the official said. Lankesh was killed at her house in Bengaluru in September last year while Kalburgi was shot dead at the entrance of his house in Karnatakas Dharwad district on August 30, 2015.